Now in its 14th year, Modernism Week (February 14-24) is an 11-day Festival where Modernists from all over the world come to the Coachella Valley to revel in swanky cocktail parties, double decker bus tours, classic car shows, lectures, films and even a vintage trailer exhibit. At the center of it all is the huge Mid Mod Furniture Sale and Show at the Convention Center. But the true heart of Modernism Week – the big draw – are the home and neighborhood tours. 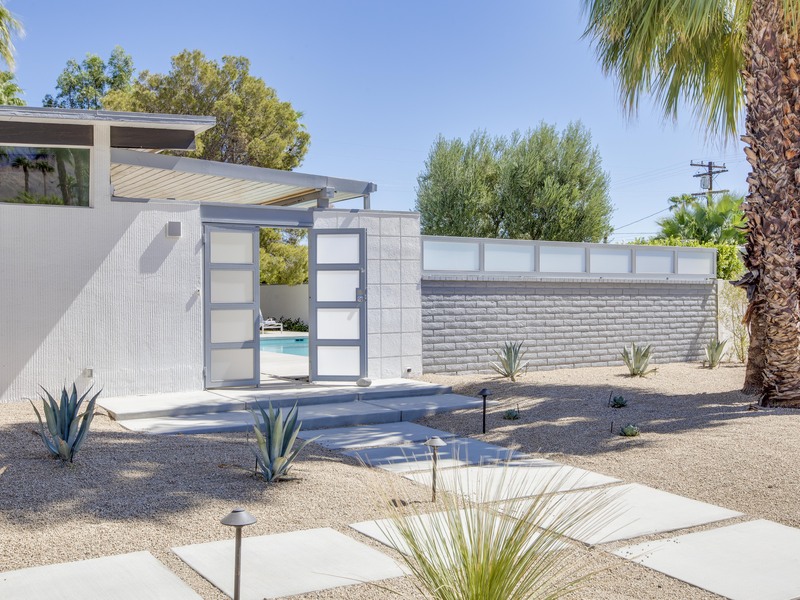 Take a look at this list of the Top Recommended Must See Events for Modernism Week 2019. It’s the Big Reveal! Tour the West Elm House 2019. In celebration of Modernism Week, Acme House Company Vacation Rentals has once again partnered with West Elm, Melos Pools, Ledge Loungers, Pentair, Tile Design by Fina and local makers, artisans and craftspeople to create their third annual Living Showroom – a luxury vacation rental paradise where it’s all about relaxing in the sunshine. This year the collaboration focuses on an estate property (circa 1957) in the El Mirador neighborhood. The renovation respects the architectural integrity of the property, preserving many of the original period details while incorporating a fresh and current look with remodeled kitchen and baths, and a complete facelift for the gardens and pool yard. TOUR THIS HOME! 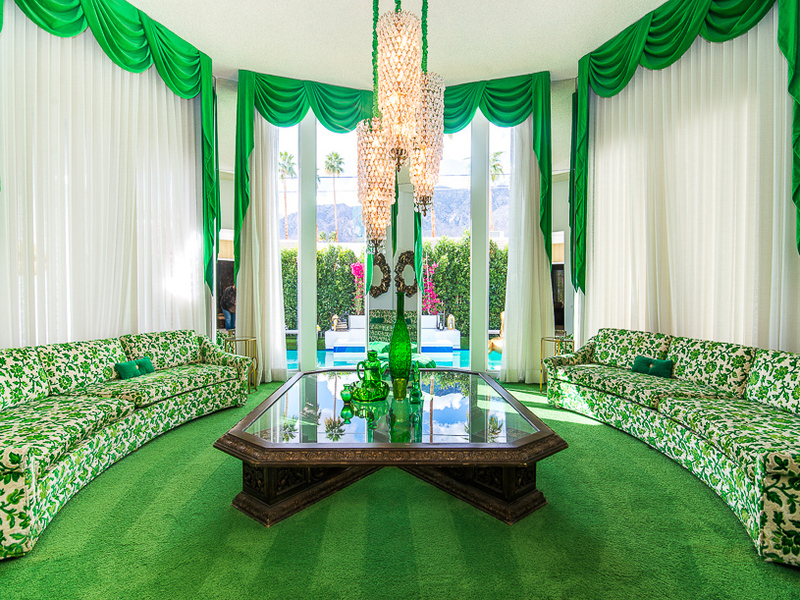 Admission for the daytime Home Tours is free – but you must reserve tickets online at www.modernismweek.com. Celebrate Modernism poolside at The West Elm House 2018 – which was launched last year during Modernism Week as the precursor to this year’s West Elm House 2019. Acme House Company presents the world-famous Aqualillies performing their signature water ballet. 3. SHAG: Modernism Print Release Party with Martini Kings Live! Please join artist Josh Agle AKA Shag, as he unveils a new hand-pulled serigraph print (designed specifically for MW) at the SHAG store in the Palm Springs Uptown Design District. This Print Release Party will feature live music by Martini Kings and complimentary cocktails served inside the store. This is one of our favorite parties of the year – always packed with Modernists from all over the world – and lots of locals too! featuring signature cocktails and curated wines. Dress to impress in your Mid Mod Best as you party poolside with architects, artists, fashionistas and modernists from all over the world. Tickets to this event include a full tour of the interiors and exteriors of the host location: The West Elm House 2019. The Racquet Club Estates Annual Home Tour will showcase six unique Alexander homes built in the late 1950s and early 1960s. Among the homes featured is Happy Hour – one of the premier homes from the Acme House Company portfolio of vacation rentals. Join our friends from H3K at their Green Gables for an evening of fashion, cocktails and appetizers! Celebrating the unique influences of midcentury fashion from “new look” to Mod, featuring a fashion show retrospective produced and commentated by Palm Springs’ own fashion guru William Miller. Highlighting the trends, looks and style of fashion from 1950 to 1965. Step back in time as you discover one of Palm Springs best kept secrets. Little Beverly Hills is a quiet neighborhood of Alexander and Meiselman Homes originally built in the late 1950s. 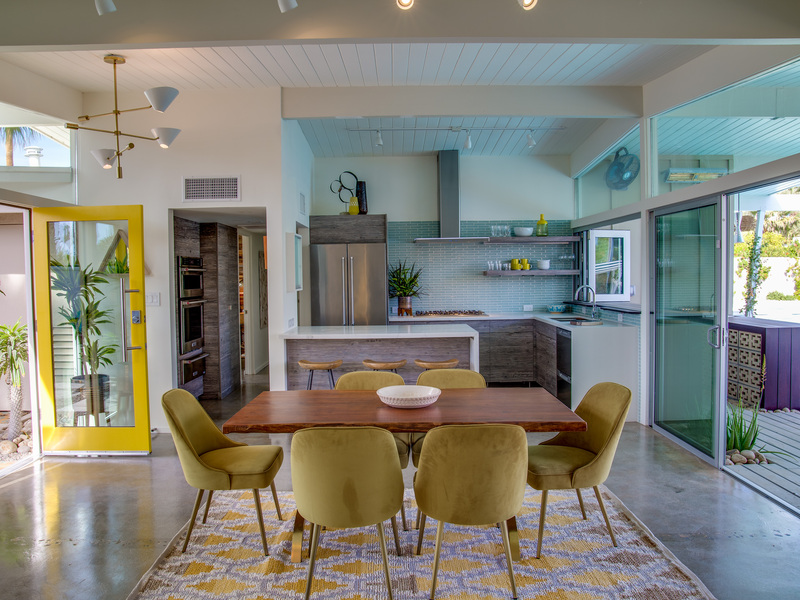 This tour takes you inside six of these fabulous post and beam homes – including the original West Elm House created by Acme House Company Vacation Rentals – launched during Modernism Week 2017. Yes you can rent this home as a vacation rental through Acme House Company. Walk through the heart of downtown in a new light as you learn about the forward thinking women who built this town and the midcentury architects whose modernist vision launched this alluring oasis. See historic buildings from our past meld with the emerging future. Visit the two oldest structures in Palm Springs, the McCallum Adobe (1884) and the Cornelia White House (1893). Stroll through La Plaza, the first multi-use shopping center in the nation when it debuted in 1936. See the Oasis Hotel tower designed in 1924 by Lloyd Wright, son of Frank Lloyd Wright, the precursor to the midcentury movement to follow.